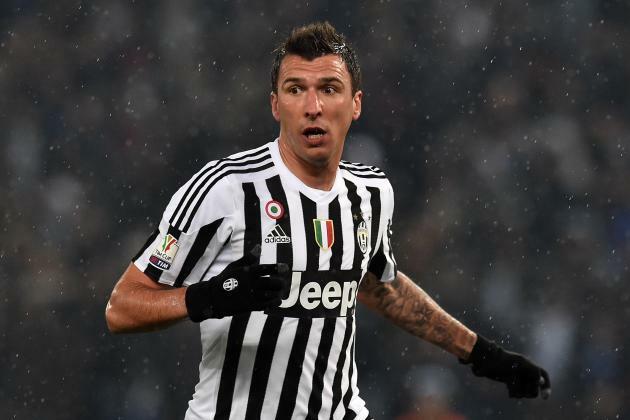 Juventus centre-forward Mario Mandzukic recovered after an injury and set to help Bianconeri in Champions League game against Man United. Croatia international missed several matches in this season and finally returned on the pitch. This is a bad news for the Red Devils as they also have problems in defence and now Mourinho’s team have to stop him and Cristiano Ronaldo who is in excellent form. Mario joined the Old Lady from Atletico Madrid in 2015 with a €22m deal. He is one of the best attackers in Serie A and unchanged figure for the club. In this campaign, Mandzukic already played 9 games, scored 4 goals and made 2 assists in all competition. This is an impressive result and he can do much more during this season. Croatian forward is contracted with the Italian club until 2020 and his release clause is around £20m. His price could increase and become much more. The 32-year-old footballer also named in national team squad for the World Cup and helped them to finish the tournament in a second place which is already a big success for the player. He scored 3 goals and made 1 assist during the Mundial. Red Devils tried to add him during the summer transfer window but he preferred to stay in Serie A.